Obscene, outrageous, absolutely appalling. But the top elite schools have a natural monopoly as gatekeepers to the International Ruling Class and every year more people are lining up trying to get in. 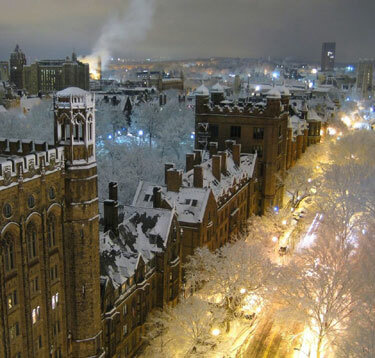 Yale cost $3000 a year when I was a freshman back in 1966. 4 Feedbacks on "Yale Tuition Next Year: $72,100"
$3000 in 1966 is equivalent to $23,250.65 today using 3.93% average inflation per year. For that $3000 to become $72,100, it would need to inflate at 6.2%, which is 157% of average inflation per year. So, today’s students are paying three times what you paid for Yale. You got a deal. I didn’t even pay $3000. I got a full scholarship. My father was skeptical about the $3000 price tag then. I doubt very much if he would volunteer to pay it today. In the fall of 1920, the enrollment at Ohio State University was 8,813 students. That same year, Harvard College had 2,532 students. Today, Ohio State has about 61,000 student, seven times the enrollment of 1920. Harvard has 6,000 or so undergraduates, a little more than double its 1920 number. If Harvard had grown like tOSU, it would have about 18,000 undergraduates, triple its current number. Surely, many of the problems of Ivy League and American higher education would go away if Harvard and the Ivies enrolled their fair share of Americans. Most of the complaints about discrimination against Asians and White men and in favor of blacks and Jews would disappear, too.